When we talk about data security what do we actually mean? Data security means protecting data, such as database, from destructive forces and from the unwanted actions of unauthorised users. In the UK, the Data Protection Act is used to ensure that personal data is accessible to those whom it concerns, and provides redress to individuals if there are inaccuracies. This is particularly important to ensure individuals are treated fairly, for example for credit checking purposes. The Data Protection Act states that only individuals and companies with legitimate and lawful reasons can process personal information and cannot be shared. So what is Data Security? Data is any type of stored digital information. Security is about the protection of assets. Prevention is the measures taken to protect your assets from being damaged. Detection is the measures taken to allow you to detect when an asset has been damaged, how it was damaged and who damaged it. Reaction is the measures that allow you to recover your assets. Confidentiality ensures that that data is only read by the intended recipients. Integrity ensures that all of the data has not been corrupted from its original source. Availability guarantees that the data is usable upon demand. Accountability is audit information that is kept and protected so that security actions can be traced to the responsible party. Data Security is subject to several types of audit standards and verification, the most common are ISO 27001, PCI, ITIL. Security Administrators are responsible for creating and enforcing a policy that conforms to the standards that apply to their business. IT certification audits are generally carried out by 3rd parties although regular internal audits are recommended. Clients can also carry out audits before they begin doing business with a company to ensure that their clients data is secured to their standards. A security policy is a comprehensive document that defines a company’s methods for prevention, detection, reaction, classification, accountability of data security practices and enforcement methods. It generally follows industry best practices as defined by ISO 27001, PCI, ITIL or a mix of them. 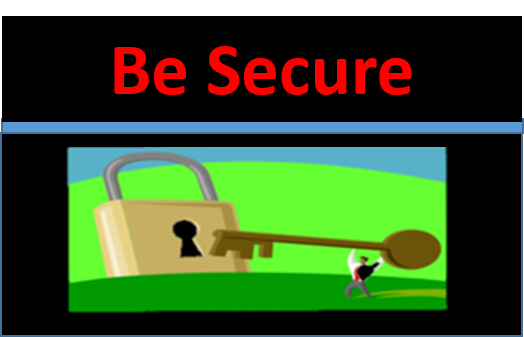 The security policy is the key document in effective security practices. Once it has been defined it must be implemented and modified and include any exceptions that may need to be in place for business continuity. Most importantly all users need to be trained on these best practices with continuing education at regular intervals. Data needs to be classified in the security policy according to its sensitivity. Once this has taken place, the most sensitive data has extra measures in place to safeguard and ensure its integrity and availability. All access to this sensitive data must be logged. Secure data is usually isolated from other stored data and it is important that controlling physical access to the data centre or area where the data is stored is implemented. Active Directory for example is used by many companies and is a centralised authentication management system that is used to control and log access to any data on the system. Encryption of the sensitive data is critical before transmission across public networks. The use of firewalls on all publicly facing WAN connections needs to be in place and also the deployment of VLANs’ to isolate sensitive departments from the rest of the network. It is important to shut down unused switch ports. If Wi-Fi is deployed then it is important to use authentication servers to verify and log the identity of those logging on. Finally the deployment of anti-virus and malicious software protection on all systems. Sometimes you will be surprised what you can find by simply walking around and look for passwords in the open, unattended screens. Ensure that Event Viewer and Log Files are maintained this provides the audit trail. An Intrusion Detection/ Protection systems (IDS/IPS) to monitor the network and system activities for malicious activities or policy violations. Set up SNMP monitoring servers to monitor and alert for everything as this will alert Administrators to everything from unusual bandwidth usage to hardware failure. It is key to know what’s going on with your systems and network. Documentation is also important, detailed network maps should be available as these maps make it easier to spot security weak points and any flaws in the design that could impact the data security. You should also consider a network scanner that probes devices to ensure that they are secure. A network scanner will probe and report old out of date software, open ports and the give details on any potential exposures. Networks scans should be scheduled on a regular basis. Review log files regularly of any publicly facing server to see what types of attacks are being run against your enterprise. Trade publications discuss the latest threats and technologies keeps you updated on the latest attack trends. It is important to understand the technology stack that you are protecting and the technology that is used to attack it. Something which tends to not be given the required level of importance is user education. All relevant security policies must be clearly explained to the end users. A clear explanation of the consequences for violating these polices must also be explained. The end user needs to sign a document acknowledging that they understand the policies and consequences for violating these policies. Any enforcement must obtain executive authority to enforce the business policies and procedures. This must be based on a systematic approach of warnings and punishments. This entry was posted in Data Security, General Information and tagged cyber security, data security on May 1, 2015 by Data Compliant. 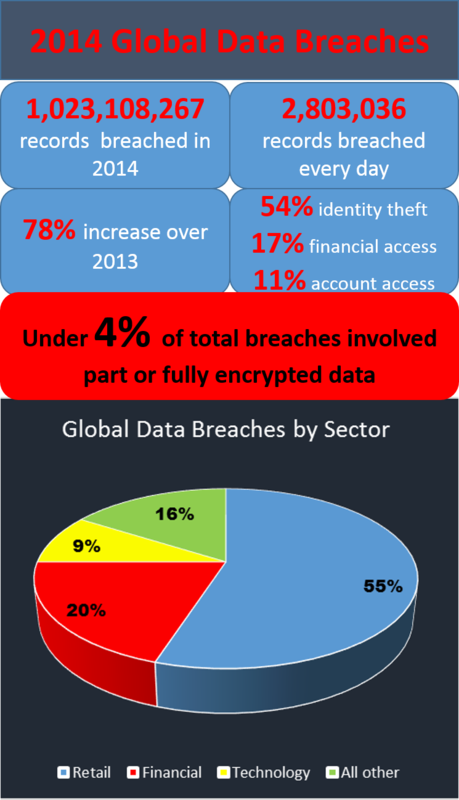 45% of phishing attacks are successful, according to Google’s December 2014 report. Indeed, the infamous 2013 Target data breach was due to a successful spear phishing attack on one of the company’s suppliers. The reported cost to the business was a massive $162M plus additional expenses resulting from class action lawsuits and reputational damage. 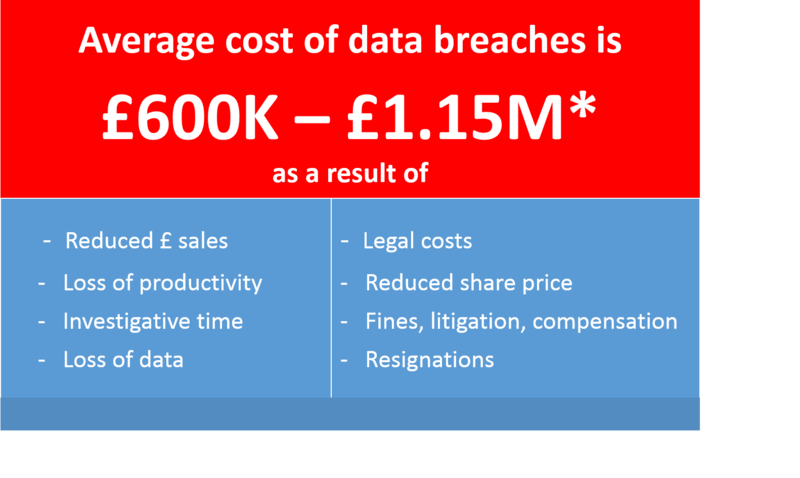 Many data breaches are a direct result of the attacker using individuals or employees to access systems or data, and it’s worth noting that 58% of large organisations and a third of SMEs fall prey to staff-related data breaches (*UK 2014 Information Security Breaches Survey). With that in mind, I thought it would be helpful to summarise some points to help recognise and deal with phishing emails. Phishing is a deceptive means of trying to acquire personal information such as your identity or data that you hold and access – for example your user name, passwords, credit card details, contact directories and so on. Phishing is typically carried out by email or instant message, which may ask you to provide the data directly, or it may send you to a website or phone number where you will be asked to provide data. 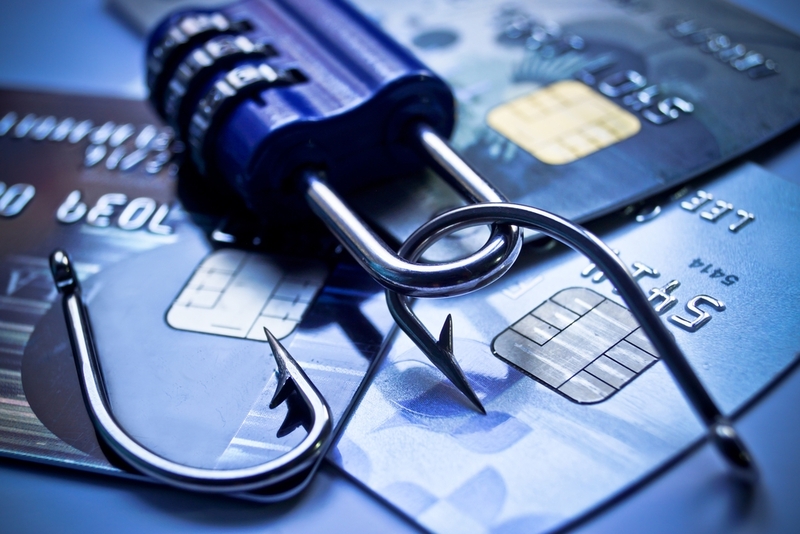 A phishing effort can be hard to recognise, particularly if it comes from a source that you are inclined to trust – for example a friend or colleague (who may have been phished themselves), or your bank, social media site, telephone provider etc. Phishing emails are designed to look like real emails from real, sometimes large, reputable organisations. They may include links to websites which will require you to enter personal information – and that website may also look very similar to the legitimate website it is pretending to be. There are ways to recognise and avoid being caught out by fraudulent emails or the links they contain. Beware of attachments – these may pretend to be an order summary or an invoice for immediate payment or a receipt or any manner of other things. If you haven’t placed an order, or your bill is already paid, then be careful. If in doubt, simply do not open the attachment. How to spot a phishing link? Such links are likely to include all or part of the legitimate website address. Good security software will help to prevent successful phishing by spotting “bad” links and blocking fake websites. While not providing all-encompassing protection, anti-virus, anti-spyware and anti-malware applications should be used, and kept up-to-date. Ensure that at least two different supplier technologies are in operation. Ensure that all firewall settings should be used and updated regularly to help prevent phishing and block attacks. As phishing attacks predominantly targeting end-users, it is a good idea to invest in a security education and awareness programme to raise the profile of risk. It’s also helpful to include your clients in such a programme. This entry was posted in Data Security, General Information and tagged cyber security, data breach, data protection breach, data security, data security breaches, phishing, phishing training on March 6, 2015 by Data Compliant. ISO 27001 Certification – who needs it? It’s becoming an increasingly essential part of due diligence that a data controller, when appointing a data processor, will ask one simple question: “Do you have ISO 27001 Certification?” Given that data controllers are the liable parties for any data breaches or lack of compliance, they need to be certain their data is to be processed safely. So if the answer is “no”, the processor is unlikely to win the contract unless they have some other extraordinary and unique competitive advantage. I was going to write a blog about why ISO 27001 certification is so important. Then I thought it would be simpler just to show you. It’s all about protecting your business from potential breaches. ISO 27001 is an international standard for data security management, providing a risk-based approach to data security that involves a data governance standard that is embedded throughout the business covering processes, technology, employees and training. In the past, obtaining ISO 27001 certification has been a time-consuming, arduous and costly exercise. Now, however, the whole process of creating the gap analysis, providing robust policies and procedures, and obtaining certification can be made much simpler. This entry was posted in Data Security, General Information and tagged cyber security, data compliance, data compliant, data security, data security breaches, ISO 27001, ISO 27001 certification on February 26, 2015 by Data Compliant. Britain is targeted by up to 10,000 cyber attacks per hour, making it a business imperative for organisations to strengthen their data security systems and processes. Retail and financial services websites are at the highest risk from attack, and Christmas – with a projected online spend of £17.4bn** – is the most popular time of year for cyber criminals. This is a particularly worrying statistic given that data security breaches carry a huge cost – both to reputation and financially. The costs of a breach increase every year, and will inevitably continue to rise as new legislation comes in with greater powers to the ICO. So it’s time for retailers to make sure their staff don’t fall into the 45% of successful phishing attacks, and understand how to minimise security risks to the business. Data Compliant provides data security training workshops for companies who want their employees to understand how to keep their data secure. 2-hour security workshops for up to 10 attendees per session are available from January 5th 2015. The usual cost is £1,100*. Within the workshop, we’ll demonstrate how to recognise and avoid phishing attacks. * Costs exclude VAT and expenses. This entry was posted in Data Security, General Information and tagged cyber security, cyber security training, data compliant, data protection, data security, data security training on December 9, 2014 by Data Compliant.